Cosmic comic Swami Beyondananda -- whose favorite yoga pose is tongue-in-cheek -- makes a return appearance to the Morningstar Studio in Fairfield on Saturday evening, August 13th ... and his slightly more serious alter ego Steve Bhaerman will be there to offer a fun-filled enlightening playshop, Wake Up Laughing and Leave Laughter in Your Wake on Wednesday evening, August 17th ... and you and all your friends are invited! In these serious times – where there’s definitely something funny going on – laughter keeps us sane. 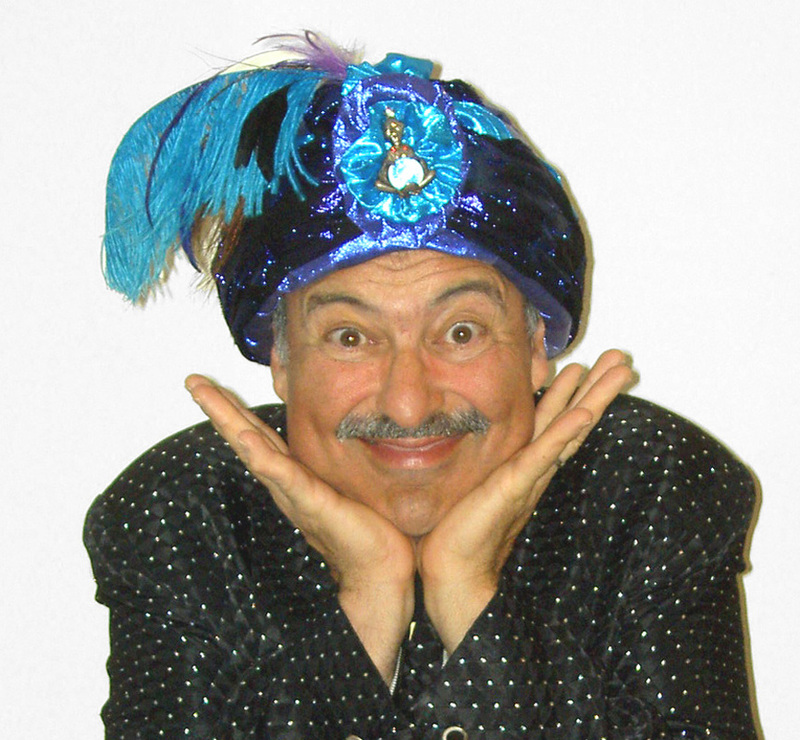 This heart-opening, mind-expanding show featuring the cosmic comedy of Swami Beyondananda and playshop with Steve Bhaerman will help you wake up laughing and leave laughter in your wake. For nearly 30 years, the Swami has been a fount of comedy disguised as wisdom – or is it wisdom disguised as comedy? Noted author Marianne Williamson has called him “the Mark Twain of our times” because the comedy isn’t just hilariously funny, but also offers sharp social commentary and spiritual perspective. Billed as “one of the biggest names in comedy” (“Beyondananda” alone has 12 letters), Swami keeps the audience in hysterics with his mixture of word play, seriously funny political and spiritual commentary, and playful silliness. Oh, and he’s the only guru to channel both Elvis AND Bullwinkle – and at the same time yet! Over the past 28 years, Swami has authored such classic books as Driving Your Own Karma, When You See A Sacred Cow Milk It for All It’s Worth, Duck Soup for the Soul and Swami for Precedent: A 7-Step Plan to Heal the Body Politic and Cure Electile Dysfunction. Join the fun as the “turban-powered” Swami Beyondananda creates a field of hearty laughter and inspired celebration, and bring your friends, because when it comes to laughter, the more the merrier! And then on Wednesday, August 17th, you'll have a chance to learn how to bring more cosmic comedy and healing laughter to your world from the man behind Swami, Steve Bhaerman. Steve will entertain and enlighten and help you cultivate "cosmic comic consciousness" and commit random acts of comedy to heal the heart and free the mind. Swami tells us that "serious times call for serious laughter", and he will certainly help you take humor more seriously and seriousness more humorously.